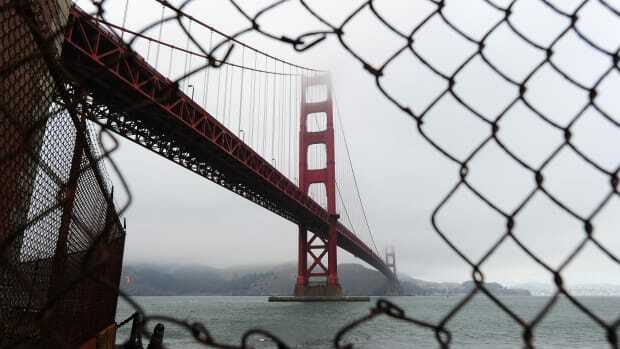 As tensions build over a San Francisco ballot measure that would tax businesses to fund homelessness initiatives, the debate over how to support a population with little political power has escalated into a war between people with the most. Funding the opposition to Proposition C are some of the city&apos;s most prominent tech titans, according to campaign filings released Thursday. But outspending them all is one man and his company that, together, have contributed more than $5 million, as part of a vocal campaign that businesses must help end the city&apos;s homelessness crisis. The man is Marc Benioff, and the company is Salesforce—the city&apos;s largest private employer, the owner of the tallest building in the city, and the sponsor behind a new (now-crumbling) transit center. Benioff, Salesforce&apos;s chief executive officer, has emerged as Prop C&apos;s most ardent supporter—pitting himself against Jack Dorsey, the chief executive officer of Twitter and Square, who opposes the measure along with Mayor London Breed. The tech leaders have sparred on Twitter for weeks now, arguing over the measure&apos;s merits to an audience of millions. But while their words might seem performative, they aren&apos;t empty. According to records on campaign contributions made up to October 20th, released by the San Francisco Ethics Commission Thursday, campaigns backing each camp have spent almost $7 million combined. and $75,000 from Dorsey himself. Despite the roster of prominent business leaders who have contributed to oppose the tax, the campaign in favor of Proposition C, "Our City, Our Home," has raised far more: about $5.6 million, $5.25 million of it in the last month alone. 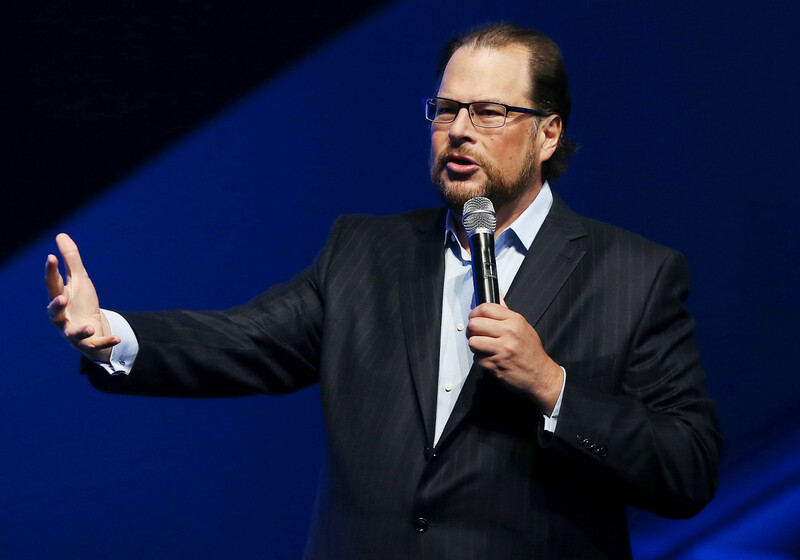 Benioff has personally donated $1 million, and Salesforce&apos;s contribution totals $4,153,393.01. Among the small-dollar donors were engineers for Stripe and Square, companies whose leadership contributed key sums to bankroll the opposition. 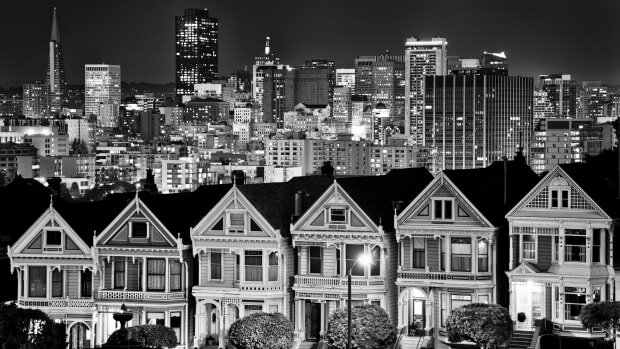 The proposed tax at issue would raise a total of about $300 million for homelessness initiatives each year, by increasing the gross receipts tax for San Francisco businesses earning more than $50 million a year by an average of 0.5 percent. Half of the fund would go toward building and subsidizing about 5,000 new affordable housing units over the next eight years, and 10 percent to installing 1,075 new shelter beds. In a city that spent $380 million on homelessness last year, "Our City Our Home" would almost double the budget. "I want to help fix the homeless problem in SF and California," wrote Dorsey on October 12th, on the social media platform he runs. "I don&apos;t believe this (Prop C) is the best way to do it." Dorsey wasn&apos;t the first to sound an alarm. A "No on Prop C" campaign, backed by the San Francisco Chamber of Commerce, had been collecting testimonies ever since the measure qualified for the ballot this summer. By October, Breed spoke out against it too: "Proposition C lacks accountability" and "could make our homelessness problem worse," she wrote in a statement. Her post opened a floodgate of echoed dissent among San Francisco tech companies—the same ones she&apos;s been criticized for being beholden to. Stripe, an online payment service backed by Elon Musk and Peter Thiel, piled on: In addition to being an "ill-conceived half-measure," as Stripe&apos;s general counsel deemed it in September, Prop C "could easily push more people into homelessness or out of our city altogether," wrote Patrick Collison, Stripe&apos;s chief executive officer and co-founder. Though Benioff is by far the largest donor to the measure, he&apos;s joined in supporting Prop C by players like Chuck Robbins, the chief executive officer of Cisco Systems; Nancy Pelosi, who represents California in Congress as the House Democratic Leader; as well as the coalition of local housing advocates that drafted it. "This is a humanitarian emergency and it demands an emergency response," Benioff wrote in an op-ed in the New York Times titled "The Social Responsibility of Business" on Wednesday. 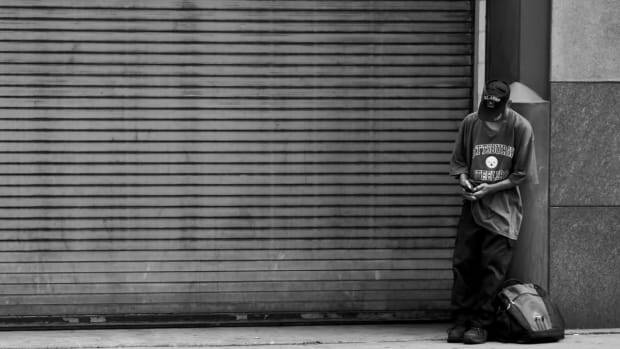 "San Francisco&apos;s epidemic of homelessness is solvable, but only if we devote the resources that are necessary." Benioff, who&apos;s been rumored to have mayoral aspirations, has turned the argument into something of a "woke-off," as Maya Kosoff in Vanity Fair put it, railing Dorsey and other tech leaders for what he sees as rampant hypocrisy. Both sides are playing ball—very publicly. Screenshots from earlier this month show Dorsey trying to call "Marc," only to go to voicemail; then finally getting through to him. "We&apos;re all talking now and aligned to fix this issue as fast as we can," Dorsey wrote. "Will keep everyone updated." Few can dispute the fact that homelessness is a problem in San Francisco: An estimated 7,500 people experience homelessness in San Francisco each night, about one in 30 of whom are kids in public schools. The shelter system has a 1,000-person wait for its 2,500 beds. 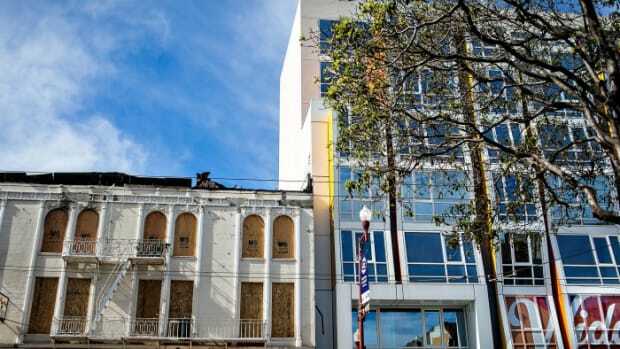 And the connection between the growing tech industry and shrinking affordability is hard to ignore: A recent story in the New York Times profiled one San Francisco block that acts as a bridge between the city&apos;s downtown, teeming with tech elites, and its homeless population crowded in the Tenderloin District, where more than 100,000 heroin needles littered the pavement this year. 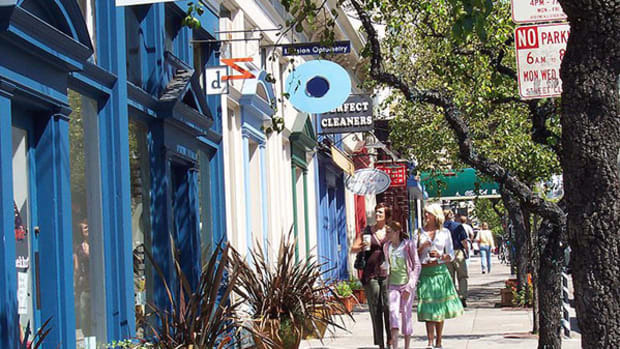 "The Dirtiest Block in San Francisco," the Times called it, for receiving "2,227 complaints about street and sidewalk cleanliness over the last decade." What leaders disagree about is how best to target aid. Locally, the proposition is a referendum on how San Francisco should address its growing homelessness problem, and on how tech giants could help shrink it. But the posturing that has followed also illustrates Big Tech&apos;s growing influence on local governments nationwide. Other cities where housing rates are climbing have also considered business taxes to directly address affordability, and have faced similarly tense responses. In Seattle, a per-employee tax on the city&apos;s largest businesses to fund affordable housing and homelessness initiatives was passed by the city council in May—only to be killed months later, after Amazon and other local companies contributed a total of $300,000 to its opposition fund. 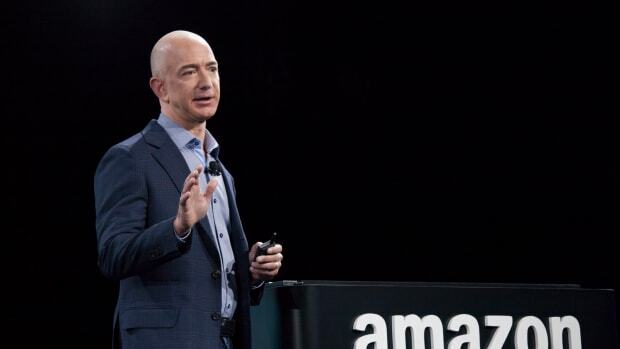 By September, Amazon&apos;s Jeff Bezos announced he&apos;d be starting his own fund to support existing homelessness non-profits. In doing so, he seemed to signal a preference for philanthropy over policy—or at least over taxation. Cupertino, home to Apple&apos;s headquarters, had been floating a head tax of its own before shelving it this year, fearing Apple&apos;s outrage. Mountain View, home to Google&apos;s headquarters, has moved forward with putting an increase of their business license tax on the November ballot. While Seattle&apos;s tax was quickly framed as a job-killer—and local businesses opposed it on those grounds—Prop C can&apos;t be put in that box as easily. It&apos;s not taxing businesses based on how many employees they have, for one; and it has the support of the city&apos;s largest employer. Instead, most of the critiques carefully highlights the "bad policy" argument: That companies would be happy to support homelessness initiatives, and happier still to pay their fair share of taxes. (See, Dorsey: "We&apos;re happy to pay our taxes"; and Stripe: "We&apos;re happy to pay higher taxes as part of [helping solve homelessness], a position we&apos;ve made clear from the start.") They just want that tax to have the support of the city&apos;s mayor. But as Benioff points out, the money they&apos;re already spending—or not spending—tells another story. San Francisco&apos;s Central Market Tax Exclusion (aka the "Twitter tax break") was adopted in 2011 to attract tech companies to the Mid-Market district. In 2014, it reportedly got Twitter and other companies like Uber and Lyft off the hook for $34 million in city taxes. And, in December, the Trump administration slashed the corporate tax rate nationally by more than 10 percent. That means the same businesses that are fighting Prop C&apos;s half-a-percent tax hike have already enjoyed the benefits of federal and local tax cuts, advocates have noted. "If you&apos;re going to fight a relatively small tax, which is one half of one percent to help our number 1 issue, then you better [be] prepared to talk about what you are doing versus what you don&apos;t want to do," wrote Benioff on Twitter—not directly replying to Dorsey this time, but implicating him and other billionaires in the Bay. Breed warns that passing Prop C would lead the city to suffer economically, citing figures from a city economist report showing that Prop C could mean a "$240 million loss from our city&apos;s GDP every year for the next 20 years," and warning that the businesses that have objected might up and move out of the region. But according to a recent study from the city&apos;s Office of Economic Analysis, Prop C would cost the city from 725 to 875 jobs over two decades—a 0.1 percent change. "If the tax doesn&apos;t increase, the job loss doesn&apos;t compound," the author of the report told the Chronicle. What&apos;s more, he said, the tax would likely do its job: Reduce homelessness in the city. Breed has also advocated for supporting other propositions on the California ballot that would target homelessness and housing affordability at the state level instead, including Prop 1, which would invest $4 billion in housing for veterans and working families, and Prop 2, which frees up $2 billion to house homeless Californians suffering from mental illness. "San Francisco cannot solve homelessness simply by writing ever-larger checks itself," she wrote. But the same groups funding the Prop C opposition aren&apos;t putting money into advocating for those other state-wide solutions. According to filings with the California Secretary of State, more than $5 million has been donated to the "Yes on Props 1 & 2 Coalition," led by housing advocacy and construction groups, as well as the Silicon Valley Leadership Group. Neither Dorsey, Twitter, Salesforce, nor Benioff have donated campaign funding to the coalition. As for the Silicon Valley Leadership Group&apos;s endorsement, Lyft is listed as a member company, but the ride-hailing company did not respond to a request for comment. "We are member-driven. Our companies all have a voice in what we do moving forward," said Nathan Ho, senior director of housing and community development for the Silicon Valley Leadership Group. "They collectively came together as a group to endorse Prop 1 and Prop 2." Twitter, Square, and Stripe are not in the group. After Dorsey first spoke out against Proposition C, Benioff put the question to him directly: "Hi Jack. Thanks for the feedback," Benioff wrote. "Which homeless programs in our city are you supporting?" "Marc: you&apos;re distracting," Dorsey replied.